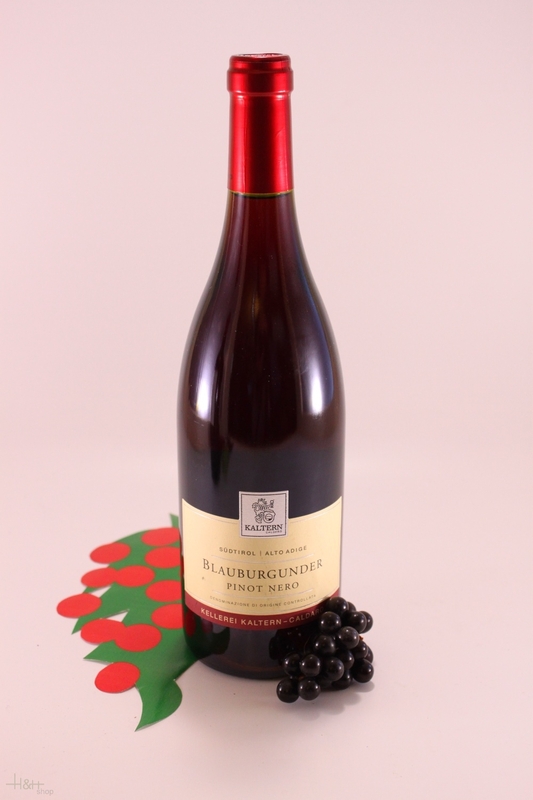 Characteristic: Our Blauburgunder, or Pinot noir, is a ruby to garnet red wine with pronounced tannin profile, an intense, ethereal bouquet which is reminiscent of wild berries, and a lingering, full finish. Recommendation: This wine pairs perfectly with heavier meat courses, game and piquant hard cheeses. "Wine & Spirits Magazine" has rated the wine "Kellerei Kaltern Sudtiroler Pinot Nero - Blauburgunder, Trentino-Alto Adige, Italy" the vintage 2015 on 01.10.2016 with 87 of 100 points. "Wine & Spirits Magazine" has rated the wine "Kellerei Kaltern Sudtiroler Pinot Nero - Blauburgunder, Trentino-Alto Adige, Italy" the vintage 2013 on 01.08.2015 with 86 of 100 points. "Wine Spectator" has rated the wine "Kellerei Kaltern Sudtiroler Pinot Nero - Blauburgunder, Trentino-Alto Adige, Italy" the vintage 2013 on 31.05.2015 with 87 of 100 points. "Wine Enthusiast" has rated the wine "Kellerei Kaltern Sudtiroler Pinot Nero - Blauburgunder, Trentino-Alto Adige, Italy" the vintage 2013 on 06.01.2015 with 88 of 100 points. "Wine Spectator" has rated the wine "Kellerei Kaltern Sudtiroler Pinot Nero - Blauburgunder, Trentino-Alto Adige, Italy" the vintage 2010 on 31.08.2013 with 89 of 100 points. "Wine & Spirits Magazine" has rated the wine "Kellerei Kaltern Sudtiroler Pinot Nero - Blauburgunder, Trentino-Alto Adige, Italy" the vintage 2011 on 01.08.2013 with 89 of 100 points. "Wine Enthusiast" has rated the wine "Kellerei Kaltern Sudtiroler Pinot Nero - Blauburgunder, Trentino-Alto Adige, Italy" the vintage 2010 on 08.01.2013 with 88 of 100 points. 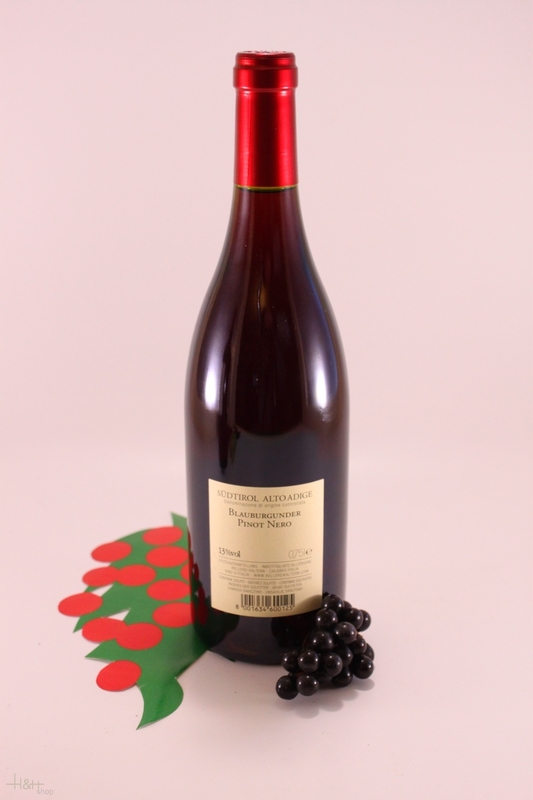 "Wine & Spirits Magazine" has rated the wine "Kellerei Kaltern Sudtiroler Pinot Nero - Blauburgunder, Trentino-Alto Adige, Italy" the vintage 2010 on 01.08.2012 with 87 of 100 points. "Wine & Spirits Magazine" has rated the wine "Kellerei Kaltern Sudtiroler Pinot Nero - Blauburgunder, Trentino-Alto Adige, Italy" the vintage 2009 on 01.08.2012 with 85 of 100 points.